‘How to get a toddler to listen’ how many times the parents have thought or search that there is no certain figure to say! Toddlers are often a mixed bag of stubbornness and cuteness. It can be difficult for a parent to manage the seemingly constant shift back and forth in between these two extremes. Many parents don’t want to face the reality that their innocent little baby is developing an attitude and mind of his or her own. This is an incredibly important stage in development that requires extra effort on the part of a parent. While this stubbornness doesn’t have to be shut down completely, children must learn what is appropriate behavior. Here are seven tips to get a stubborn toddler to listen. When toddlers aren’t listening, it can be easy to lose your cool. This often results in a yelling or fighting match between parent and toddler. Not only is this not a good look for a parent, but it is an overt sign of losing control. As a parent, you have the duty and responsibility to always remain in control. This method to get a stubborn toddler to listen requires patience and self-control above all else. When a child beings throwing a fit or refusing to listen, don’t allow your emotions to get the best of you. Instead, take a deep breath and figure out the best way to handle the situation. Losing your cool will only fuel your toddler’s stubbornness. As a parent, it can be easy to get caught up in your own agenda and perspective. As the primary person responsible for your child, there is certainly a level of authority involved. 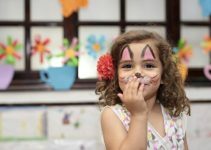 While there are many times when parents need to make clear decisions for their children, sometimes it can help to consider a toddler’s perspective. This doesn’t mean that a parent will have to agree or give in to their toddler’s wishes. Understanding their perspective can help to inform your decision and will make your toddler feel appreciated. Much of a toddler’s frustration can stem from feeling as though they aren’t being heard. Toddlers have a naturally short attention span. This can make it very difficult for parents to relay their directions. Every parent has experienced the futility of instructing a child who is having a tantrum or throwing a fit. Keeping your instructions clear and concise is the best way to have a toddler listen and understand what is expected from their side. If you offer a long-winded explanation of your expectations, the toddler will feel like too much is being asked of him or her. It is better to keep things short and sweet. Toddlers often resort to stubbornness because they feel powerless. In a struggle to be heard, they decide to be defiant of their parents. A great way to deal with toddlers stubbornness is to get on their level. Instead of having a parent looking down and barking commands, a toddler is much more likely to cooperate with a parent who is kneeling and looking at them at eye-level. This ensures that your messages come across in a much less authoritarian way. “Because I said so” is one of the most difficult things for a toddler to hear from their parents. This dismissive saying essentially trivializes a child’s perspective and wants. While there are times when parents have to be this deliberate, sometimes it can be helpful to let a child know how they will benefit from a decision. For example, you can explain to your toddler that going grocery shopping now will ensure that they have time to play later before bed. When a child understands how a decision can influence their life in a positive manner, they are less likely to remain stubborn. A great way to get your toddler to listen. Praise and encouragement are great ways to help a stubborn child cooperate and listen more effectively. Not only will this praise help to encourage their cooperation in the present moment, but it will also increase the likelihood of cooperation in the future. It is important to use praise effectively. Too much praise can lead a child to feel a sense of grandiosity. Instead, parents should be specific about their praise. You should detail a specific action that was good and why you like to see this sort of behavior. Although toddlers have a large vocabulary, it can be more effective to use gestures and movements to convey your message. A sharp eyebrow and a stern glance will be able to express your feelings faster than a long-winded explanation. You can also provide encouragement and positive reinforcement through these gestures as well. A smile and a nod of approval can go a long way for encouraging a toddler. We hope these will satisfy your query about how to get a toddler to listen and make it easier for you!